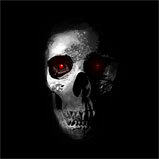 Posted: Sun Aug 08, 2010 1:58 am Post subject: The Ghost Hunters Store. Anyone living in the North Wales area will be pleased to know, there is now a new shop opened for all your ghost hunting equipment needs. This shop is run by my two friends and I am sure you will find just what you need here. At The Ghost Hunter's Store you will be able to purchase everything you need for your very own Paranormal Investigation. Books, DVD's, Crystals, Dowsing Rods, EMF Meters, Night Vision Cameras plus much much more are available to buy over the counter. We will be available for help and advice on any Paranormally related problems you may be having or help in going on an investigation. Also we will have a Tarot Reader in every few weeks for readings which will be available by appointment only. Queens Market, Rhyl town centre. 10am til 5pm 7 days a week. Can you please share the price list of those normal and full spectrum cameras??? Looking for a full spectrum camera but if I find any good in your list of normal cameras than I will buy it for sure..! !